This guide highlights VCC's key resources for Job hunters. Best practices in resume writing for VCC students in today's hiring world. 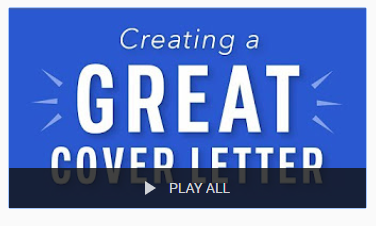 Best practices in cover letter writing for today's hiring world. This ia a project-centered course from Coursera where you’ll review resume best practices and explore current trends with guidance from a professional career counselor and recruiter, and you’ll exchange structured feedback with your peers as you work to polish your own resume. Build your resumé and cover letter in a step by step process using Career Development Manitoba's helpful forms. Some limitations on the sections you can include. Free tutorial that walks you through the resume writing process. Includes videos and interactive features. US-based. University of Toronto's career toolkits are an amazing resource that show a series of improved resumes and cover letters for a specific job posting in fields like Accounting, Finance, Computer Science, and Management. Useful advice on resume and cover letter writing. Strong resume examples (both chronological and functional format) for customer service, office work, hospitality, and trades. Both Broadway and Downtown Learning Centres have copies of this book. Easy-to-read list of bulleted suggestions for a strong cover letter. Click on the "undergraduate students" link to the right to see three excellent cover letters. PDF document of step-by-step instructions on writing a cover letter. McGill refers to C.V.s, but in British Columbia, we primarily use resumes. Article on how to give hiring managers what they're looking for in a cover letter. Check out Appendix A for several great examples of cover letters for varied job postings. If you have more time to read, this is a wonderful resource to really develop your cover letter skills. Links to the latest trends and tips for resumes and cover letters, to keep your job application on the cutting edge! Ignite Your Resume for 2018 Career Success!